​Nestled in West Central Ohio! 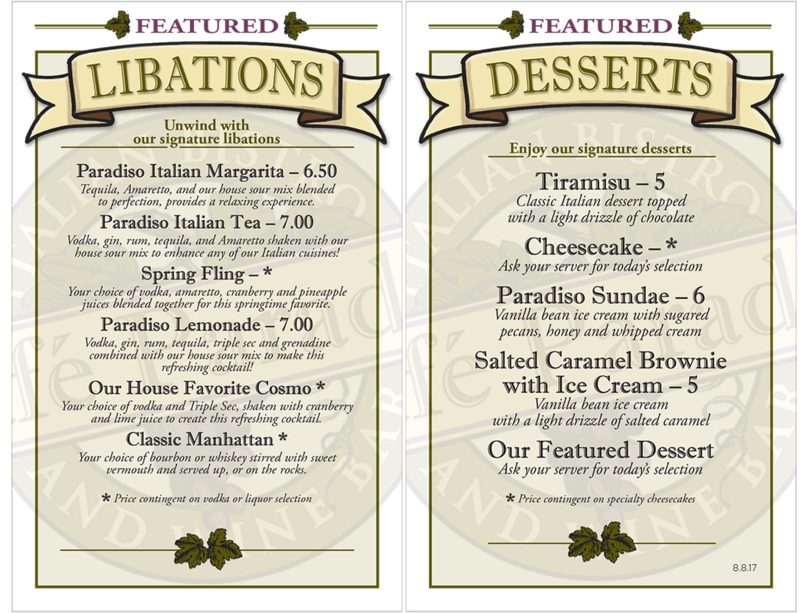 ​With complete lunch, dinner & wine menus, Café Paradiso has a flavor for every occasion! Reservations Recommended, especially for dinner on Fridays & Saturdays. Roasted Cod with a Ginger Soy Plum Salsa, Smashed Red Skin Potatoes and Asparagus! ​Whether it's a romantic evening, family event or just a fun night out with friends, Café Paradiso is the perfect choice. Experience seasonal outdoor dining #OnTheSquare in charming downtown Urbana. Come as you are or dress for that special occasion! Check out our complete lunch, dinner, drink, dessert or children's menus for every occasion. Eat traditional Italian family style, or sample from our antipasti, zuppa, insalati, pastas, gourmet pizzas and more! We also offer Weekly Specials you won't find on our menu. And don't forget to leave room for dessert! 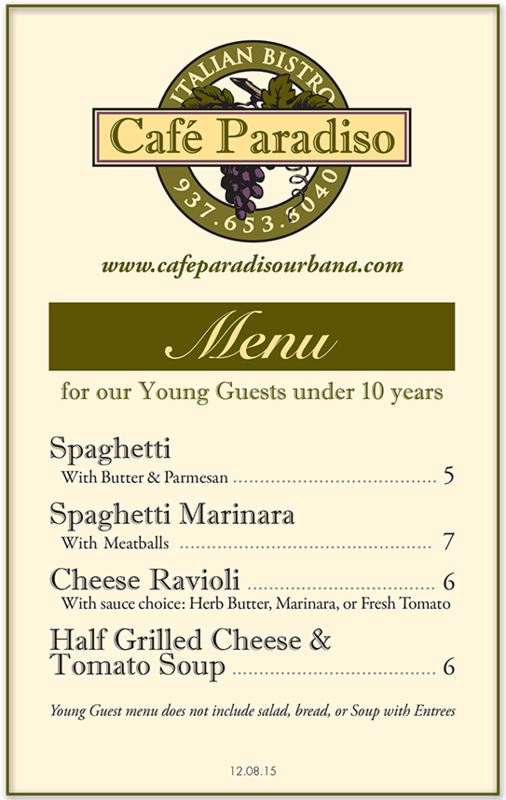 Click the menus below to view larger versions of our current menus. And join us for a romantic evening, family event or just a fun night out with friends!